In all likelihood, the FCC will vote in favor of Chair Ajit Pai’s — “My name is Pai. It rhymes with pay” — Restoring Internet Freedom Order (RIFO), abolishing net neutrality, on December 14. The battle will then move to the courts. Today I want to do a round-up on three net neutrality-related topics: Public support for net neutrality, “light touch” regulation, and the court challenges to RIFO that will shortly be launched. Frustrated by a lack of attention for heavy metal in Michigan, Jen Lorenski launched MoshPitNation, an online network that connects Michigan metalheads with the music they love. Lorenski also works as a digital marketer and is one of the driving forces behind TaxFormGals, a women-owned small business that, as the name suggests, supplies other small businesses with necessary tax forms, among other services. “The openness of the internet has been crucial for small businesses like mine,” she said. “If the costs of being online become too steep, I could see a point where other small businesses scale back their investment” and cause her to lose money. However, a late November poll from Morning Consult/Politico “indicate[s] an 8-point decline in support for the rules since the pollsters’ survey in June, when 60 percent approved net neutrality. That survey found that 17 percent opposed the regulations.” And: “[O]nly 46 percent of Americans ‘say they have heard a lot or some about net neutrality recently,’ compared with 67 percent for tax reform. Seven in 10 said they have heard about sexual misconduct allegations against Alabama GOP Senate candidate Roy Moore or Minnesota Sen. Al Franken.” Interestingly, “among registered voters, 55 percent of Democrats and 53 percent of Republicans said in the latest survey that they support net neutrality,” so thanks to both parties for screwing up a genuinely bipartisan issue. 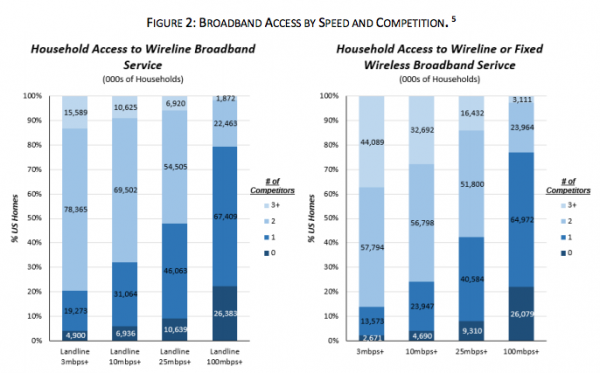 Or, as Jerry Ellig, chief economist of the FCC, writes: “In contrast, Pai’s draft order returning to a light-touch framework (or Title I, as we say) is well-grounded in economic research on public utility and network economics. By my count, the draft order cites 35 peer-reviewed economics journal articles, versus just six in the 2015 order.” Like I said. And I’m certain that Tony Blair would have been able to site just as many peer-reviewed articles for his “light touch” approach. I mean, that’s what neoliberal economics departments are for.